All our partner sites are independently reviewed by our team of industry experts. We examine 10 different criteria and award a score out of 10 for each, adding up to a final mark out of 100. 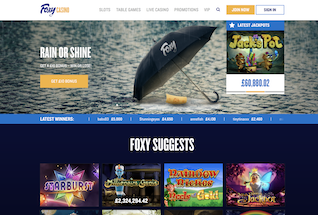 You can read a full description of our Foxy Casino review process here. Foxy Casino received a score of 89/100. Foxy Casino is the sister of the massive Foxy Bingo brand – the one that took the gaming world by storm in the 2000s. Just like it’s bingo sibling, Foxy Casino is built on the Dragonfish platform (owned by 888), whilst the Foxy Casino brand itself is now owned by gaming giant GVC Holdings. The Foxy crowd are keen on their celebrity endorsements – back in the day Katie Price (aka Jordan) was the face of their bingo. And now in 2017 they’ve hired Hollywood actress Heather Graham to spice up their ads. But it’s not just Ms Graham catching the eye at Foxy Casino. This site, licensed from Gibraltar and the UK has an exciting range of slots on offer from the likes of IGT, NetEnt, WMS, 888 and NextGen, a tantalising sign up offer, and a regular raft of Foxy Free Spins and Foxy Bonus offers. You can sign up right now to claim your 200% match bonus, or read on for our full Foxy Casino Review. New customers at Foxy Casino are entitled to a first deposit bonus of 200% up to £100. Your first Foxy Bonus comes on any deposit of £10 or more. You must wager 35x the bonus amount before any withdrawal can be made and the maximum winnings that you can take from your bonus is set at £400. There is a wide selection of games for Foxy Casino players, taking in titles from some of the very best games studios around. So, take a look at the best from NetEnt Slots, including titles like Starburst Slots, Bloodsuckers 2, Gonzo’s Quest and Twin Spin. Plus new titles Wild Water, Hanzel and Gretel and Red Riding Hood from the Fairtale Legends series, and Copy Cat Slots. 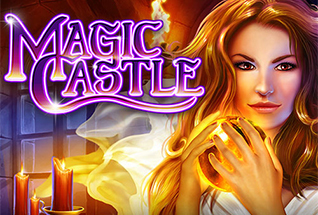 Then there are more games from IGT – Magic Castle and Sphinx Wild – and NextGen – Medusa 2 . And alongside these classics and new slots games are some of the biggest jackpot video slots around, including Mega Fortune, Millionaire Genie and Jack’s Pot! Foxy Casino also offer a good selection of table games, including a decent number of blackjacks and roulettes. 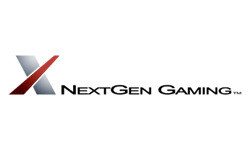 For Live Dealer fans at Foxy Casino the full NetEnt live casino suite is available. Alongside the standard fare of Live Roulette and Blackjack there is also Live Casino Hold Em, Baccarat, Baccarat Squeeze, and Carribean Stud Poker. 1 for 1 Mondays: For every £1 you deposit each Monday you get 1 free spin. The Foxy free spins start at minimum deposit of £20 (gives you 20 spins) and max available are 50. You can play your free games on Black Widow Slot. Take Your Pick on Tuesdays: Choose which promotion you’d like to take part in every Tuesday – deposit £10, get 20 Free Spins, deposit £20 and get 20% back on any losses, or deposit £25 and get £10 extra freeplay. 24 Hour Power: Every Friday get 3x 50% re-load bonuses giving you up to £150 in bonus money to play with. Just use the code POWER, and if you use it three times you’ll also grab yourself an extra 50 Free Spins! The Foxy VIP Treatment: You can earn yourself a ton of VIP rewards at Foxy Casino if you work hard enough at it! The VIP club here treats you to benefits like faster withdrawals, hospitality events and tailored bonuses and rewards for your favourite games. And with such a strong background in gaming, the Foxy Casino VIP club is sure to deliver a good service. The team at Foxy are contactable through email, phone and live chat. The phone and live chat functions operates 10am to 11pm 7 days a week. The Foxy support phone number is 0800 376 7967. Customers at Foxy Casino can withdraw and deposit through both debit / credit card and a variety of eWallet options. So Mastercard, Meastro, Visa and Visa Electron are options alongside Neteller, Paysafecard and uKash. The withdrawal pending time is up to 72 hours, after which debit and credit cards may take up to 5 days processing time, and eWallets up to 72 hours. 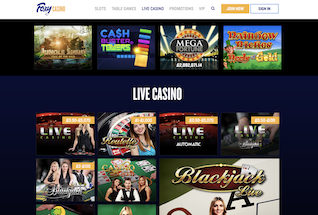 The Foxy Casino site follows a simple template and is really easy to use. From the home page you can jump straight into the sign up or log in if you’re already a customer. The games open directly from the website and there are no required downloads. You can also play all the slots and most table games for free before you spend any money. All the key touchpoints of the site – games, cashier, sign up and support are within easy reach at all time. For those who want a cheeky go on the Foxy mobile casino or Foxy slots whilst on the go, the site is perfectly set up for playing on your mobile or desktop. All the game providers here have optimised their product for use on all devices, including Apple and Android. You can also play on the Foxy Casino app which offers most of the same games as are available on the main desktop site, as well as the 200% welcome bonus for new players. Foxy Casino is licensed and regulated by the Gibraltar Gambling Commission and the UK Gambling Commission. They are bound under the terms of these licenses to adhere to strict rules on fairness, security and trust with regards to gameplay and financial transactions.